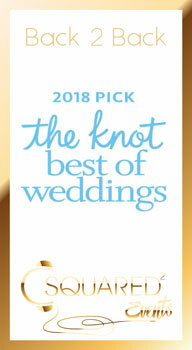 On November 11th we got the news that for the second straight year we have been chosen as one of The Knot’s Best of Weddings. The Knot is the top wedding website and the Best of Weddings is the ultimate honor you can receive. We are beyond excited to wear the crown as one of the top rated wedding DJs in Temecula, Orange County and all of Southern California.